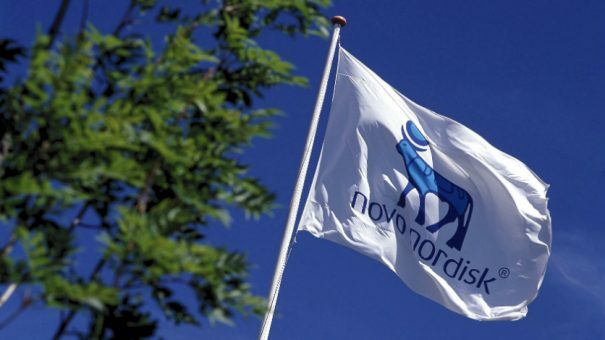 Novo Nordisk is making the case for its diabetes pill, which it hopes will allow it to fight off competition from rivals in a highly competitive market. The company announced the completion of two trials of its GLP-1 class drug semaglutide, in oral form, this week alongside with impressive data promising a breakthrough in diabetes treatment. The FDA approved semaglutide in injectable form late last year, and Novo hopes that making the drug available in a more patient-friendly pill will see off a mounting threat in the GLP-1 class from Eli Lilly’s Trulicity (dulaglutide). Trulicity has been stealing market share from Novo’s GLP-1 Victoza (liraglutide). The first trial, PIONEER 4, set the new drug against Novo’s own product, injectable once a week Victoza. Semaglutide performed better than expected against Victoza. The results included reductions to HbA1c of 1.3% and 1.2% at 26 and 52 weeks, respectively, versus Victoza’s 1.1% and 0.9%. It also contributed to a greater weight-loss with patients losing 4.7 and 5.0 kg at the same week markers, compared with Victoza’s 3.2 and 3.1 kg results. The second trial, codenamed PIONEER 7, faced off market dominating Januvia developed and marketed by Merck & Co. The results showed 63% patients medicated with semaglutide, achieved target HbA1C levels of below 7% after 52 weeks of treatment, while the same result was only achieved by 28% of patients treated with Januvia. Semaglutide also contributed to a significantly better weight-loss numbers, spurring a 2.9 kg reduction compared with Januvia’s 0.8 kg. “At the same time, we have shown that oral semaglutide is even more efficacious in lowering glucose and body weight than the most widely used injectable GLP-1 treatment, Victoza”. The new drug was well-tolerated and with a profile consistent with GLP-1-based therapy. The most common adverse effect in the trial was mild to moderate nausea, which diminished over time. Novo isn’t looking for GLP-1 expansion only in diabetes. The company has identified obesity as a growth field, despite the obstacles other weight loss drugs have hit in recent years.